We often view large predators feeding on kills that they have made, but these are normally uninterrupted and last for a few days. 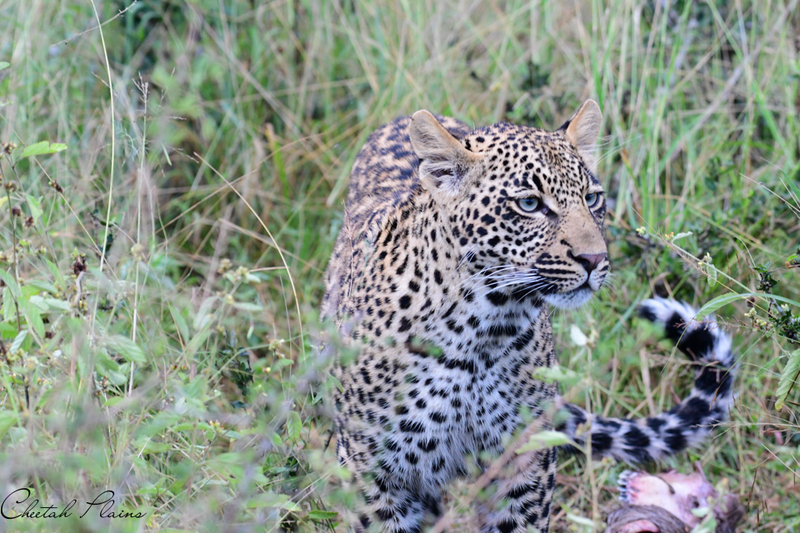 Recently, we spent some time with a resident female leopard, and her dependent young male cub. 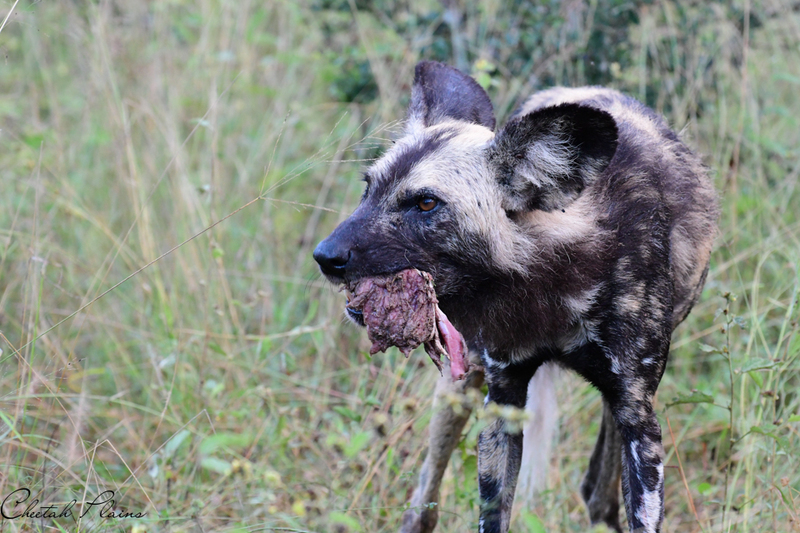 She had managed to pull down a young waterbuck, which is a fairly substantial kill and would normally last them a couple of days at least. 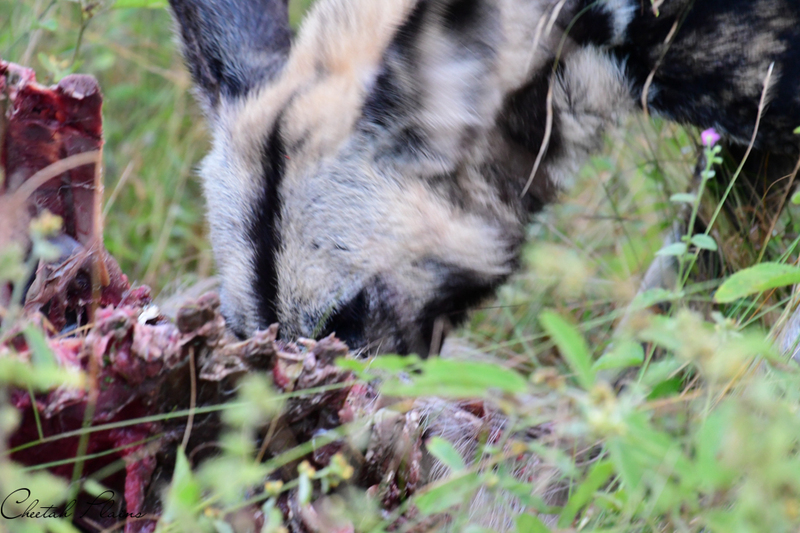 The young male was feeding on the carcass, while his mother was resting close to the kill site. The kill was fresh, and there was still a lot of meat left for them. We left them feeding, and headed off down one of the main roads. 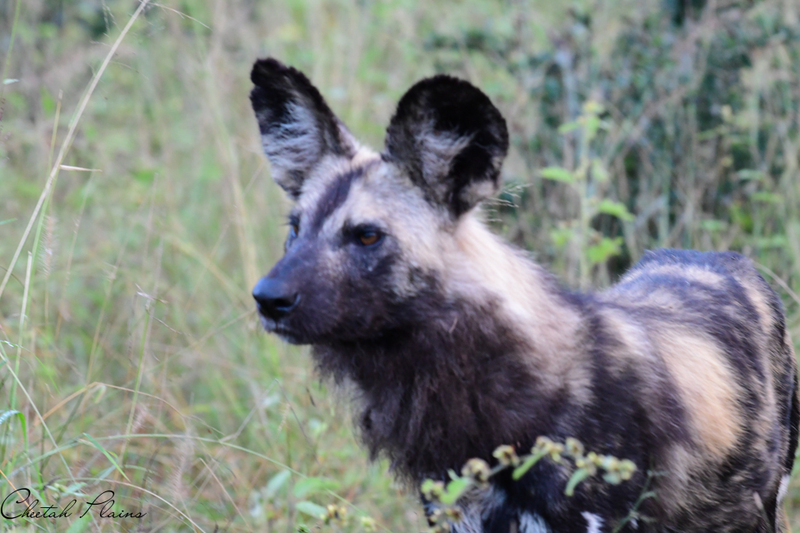 Shortly thereafter, we located a pack of wild dogs running west, in the general direction of the two leopards. We followed the dogs, and as they approached the general area, they stopped, started to sniff the air and then four of the dogs ran straight towards the kill site. 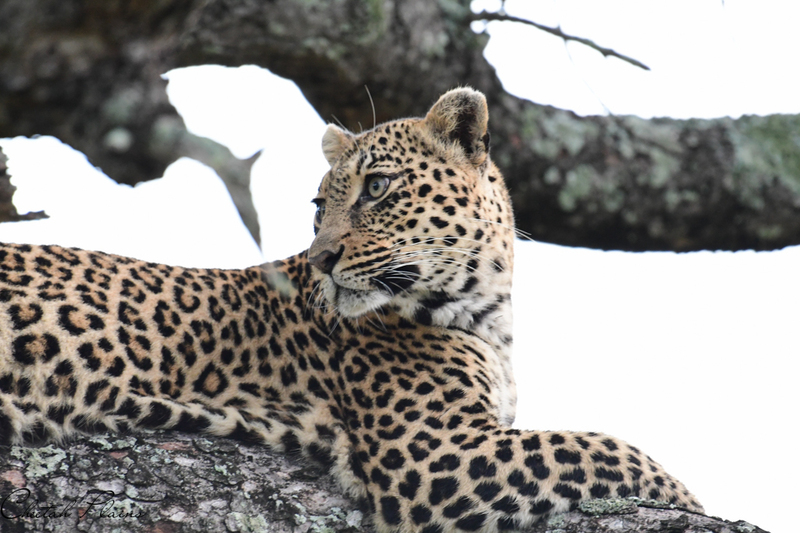 We headed around, and as we got into the sighting we spotted the female leopard up a tree, her cub had run off and was watching the wild dogs gorge themselves on the waterbuck carcass. 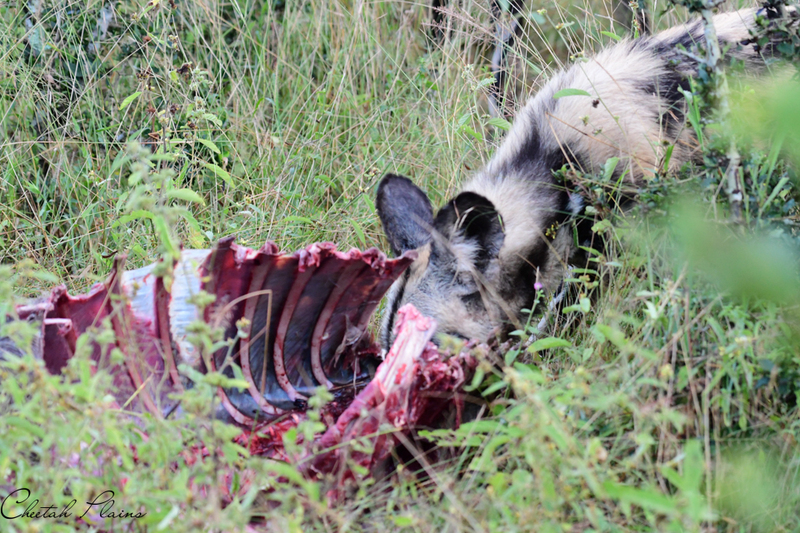 Within minutes, the carcass was reduced to bones, and the pack of dogs was on the move again. 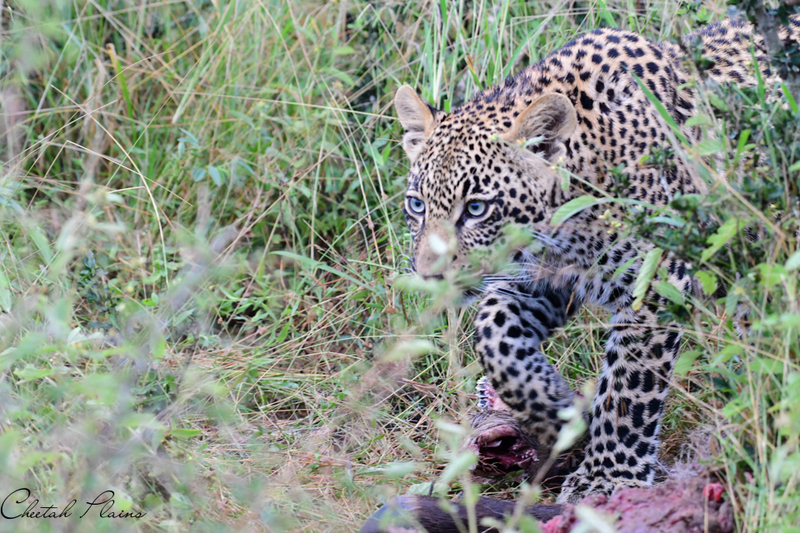 The two leopards slowly moved back into the area where they sniffed around the carcass, and then moved off together.